Copyright © 2019 bettina john. Drawing becomes movement, movement becomes drawing. 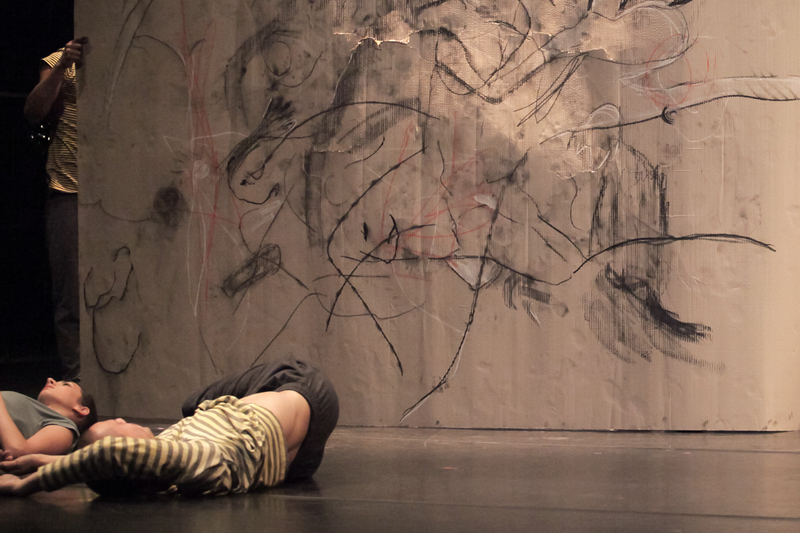 This experimental dance piece by Stephanie Schober went on show at Trinity Laban in July 2015. 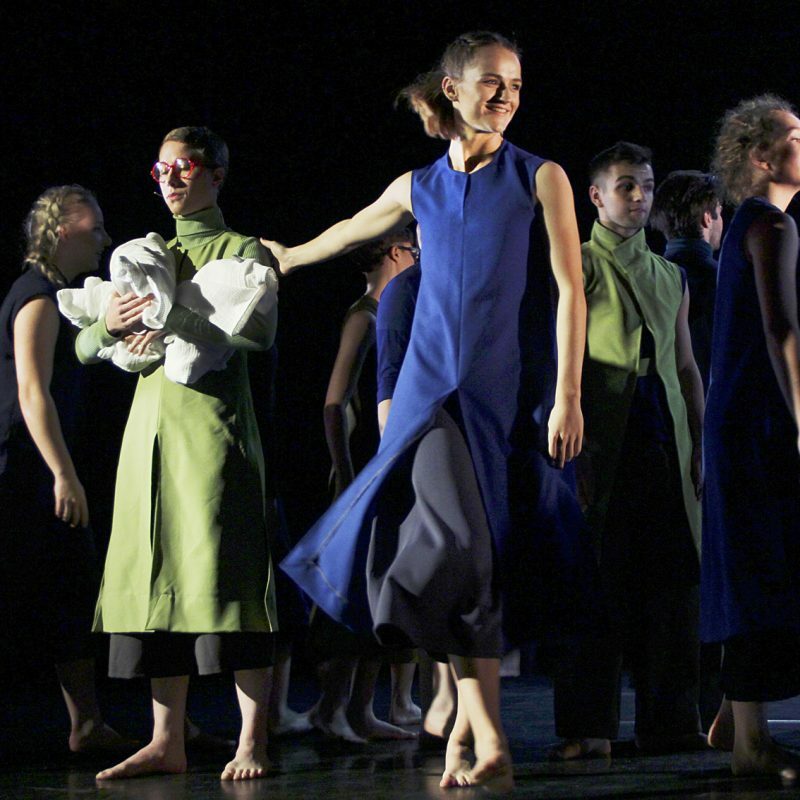 Bettina John designed the costumes for this piece based around the idea of stylised rehearsal clothes. It was important for the choreographer to keep the dance in the focus while the costumes remain unnoticed. That in itself is a design challenge as any form of clothing on stage will be a statement. Bettina John went on to design a stylised version of what rehearsal clothes meant in the year 2015. She reduced the colour palette and used fabrics commonly found amongst dance wear informed by fashion and sports wear. 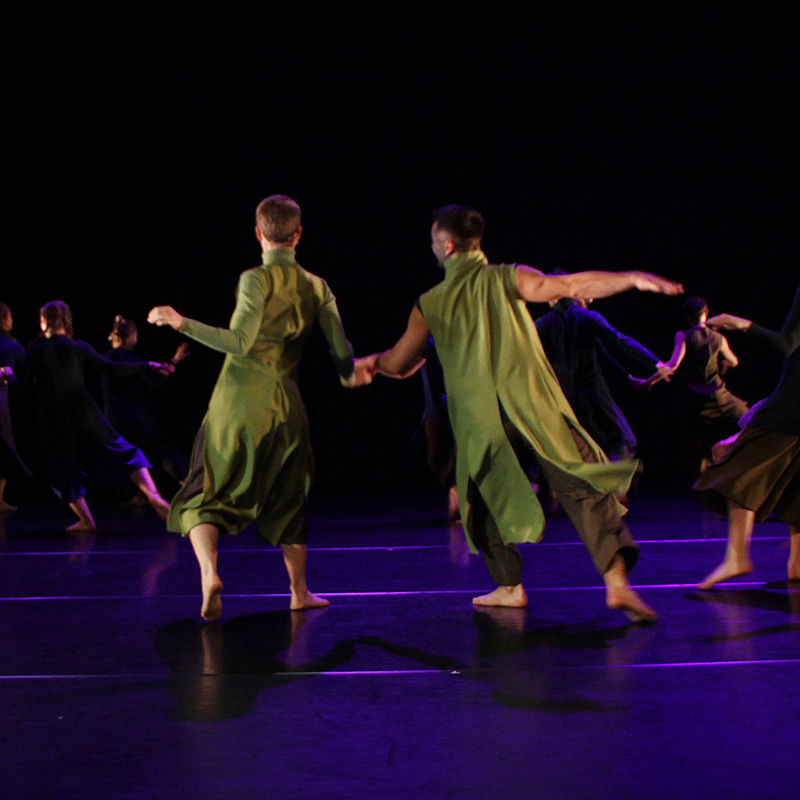 As the choreography the costumes feel like a work in progress and successfully remained in the background. 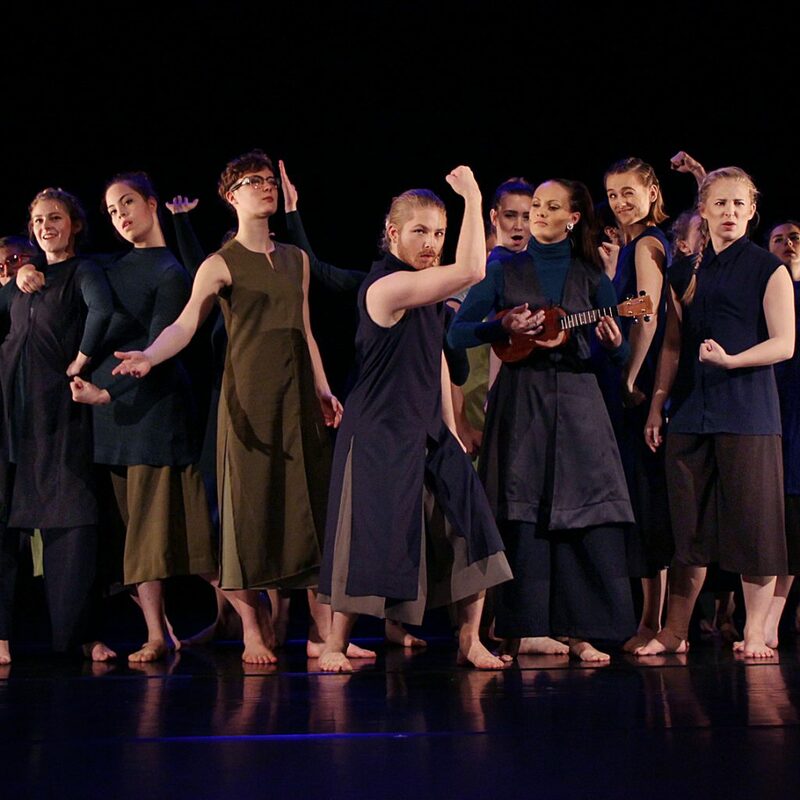 Choreographer and theatre maker Tom Roden was commissioned by Trinity Laban to create this piece with the third year students. Bettina John worked with him and them closely over the period of four weeks to develop an exciting yet suitable costume design for this piece. The choreographer from The New Art Club, shows how it looks like when the gods of love do their work. Throughout the piece the authority of the god of love is questioned and disturbed by the rest of the group. When in the beginning the group works like a machne, one wheel clicking into the other, with one of the gods starting to question this order, the group slowly but surely falls apart and indiviuals emerge and new relationships form. 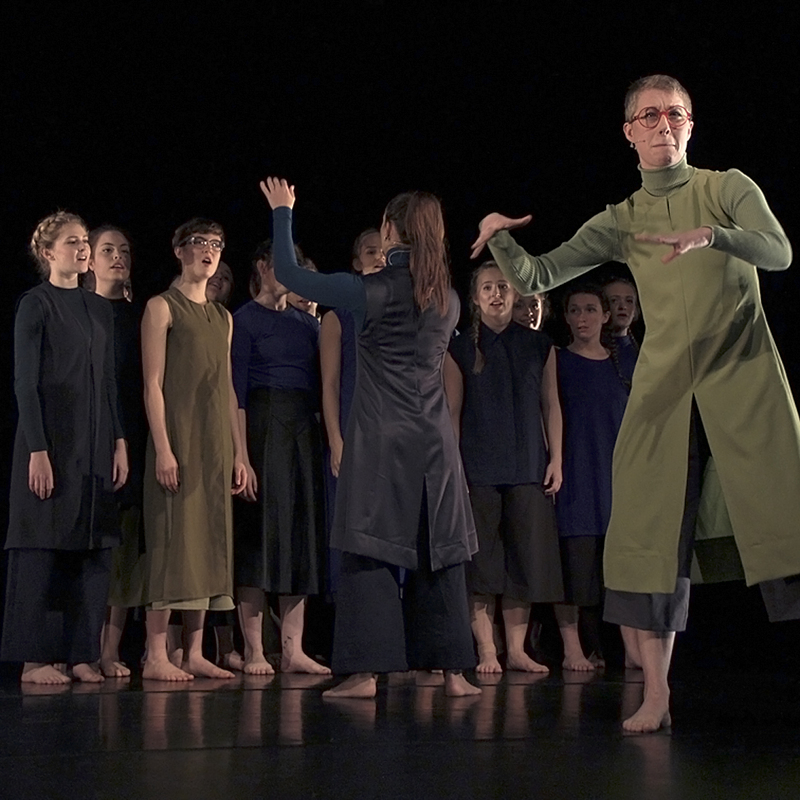 The costumes for this absurd comedy dance piece are inspired by work and army wear contrasted with angelic silhouettes achieved through long A-forms, long tunics, coats and culottes. The colours blue and grey in particular stand for work wear. More robust fabrics enhance this impression.